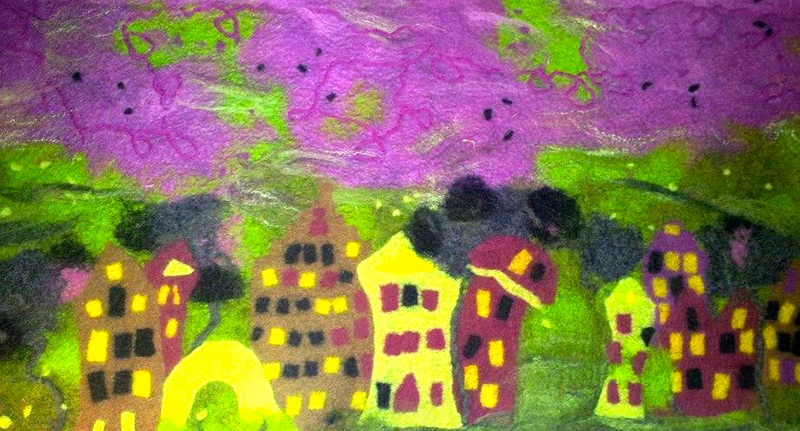 Here we made a wetfelted Amsterdam House Mural. Looking forward to using this lovely medium to create some magical works of art and useful textile products for sale at the Emporium. This was a collaborative effort and so much fun! Watch this video to see how it is done!